While there may be plenty of current pop culture–inspired costumes to choose this year, you'll be hard-pressed to find one that gets more compliments than one of these Clueless Halloween costumes, never mind that the movie was released in 1995. Whether you go as Cher Horowitz, Dionne, or Tai, the classic '90s flick provides ample fashion inspiration—and the outfits are relatively easy to re-create at home (bonus points if you grab a friend or two and go as a group). All you need is plenty of coordinating plaid, knee socks, shiny Mary Janes, and an attitude that says "we're friends because we know what it's like for people to be jealous of us." Alternatively, grab a red minidress (no Alaïa required), a slightly over-the-top white feather boa, and an old flip phone, and you're ready for a party in the Valley. 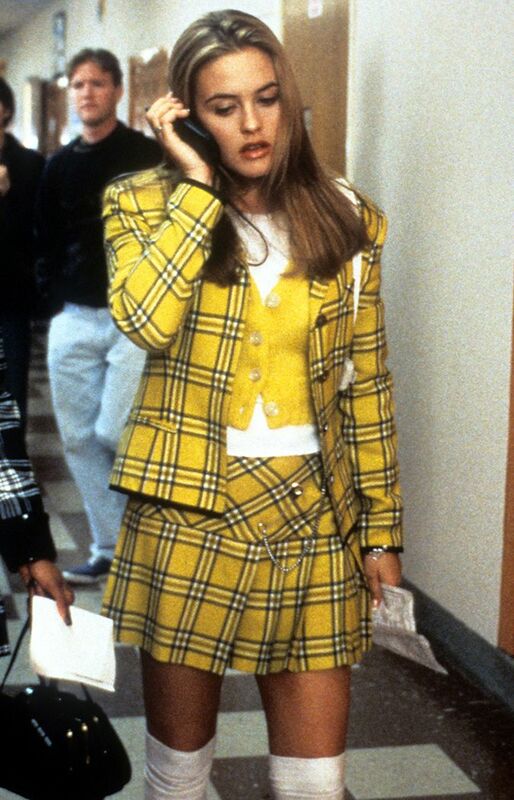 Below, shop three perfect costumes inspired by the girls of Clueless, and start memorizing your speech about how it does not say RSVP on the Statue of Liberty. This post was originally published at an earlier date and has since been updated. In need of more costume inspiration? Here are the most stylish Halloween movies to watch this weekend.